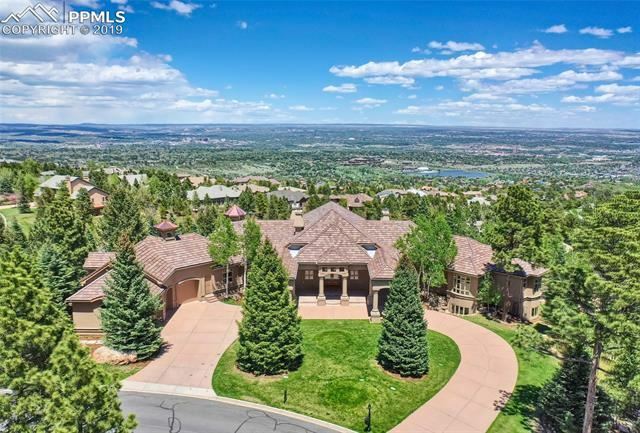 Mountains and nature harmonized with this custom home in the Broadmoor Resort Community. This stunning Mediterranean villa is tucked into the mountainside overlooking the city of Colorado Springs, the foothills of the Rockies and the plains beyond. The home incorporates both casual and formal elements. The spacious but well scaled rooms flow from the grand foyer which opens into the great hall featuring custom lantern style chandeliers mounted to the vaulted ceiling with repeated arched stone overlays. I am interested in more information about 4835 Willow Stone Heights.